While many people could get used to the mildness of this year’s season, I know plenty of others who are actually a little disappointed that there wasn’t a big snowstorm to lock people inside for a few days. Personally, I fall into the latter camp. I definitely enjoy seeing people, bundled up, walking down the middle of city streets to the grocery store, because roads are too icy for driving. Yes, I enjoy cancelling plans due to bad weather conditions. Call me weird, or call me Minnesotan, I don’t know. Regardless of where you fall on the spectrum, I think we all can agree that winter offers an invaluable time for humans and animals to slow down, be with each other or without each other and really carve out time for rest and reflection. Well the MN snowstorm never came this year, and people continue to speed down the roads by my house. I, too, have been in super-speed mode, and I was super-proud of it, too, until recently. Right as I checked my “to-dos” into “to-dones,” my body decided to create its own time and space for R & R through illness. Already two times this winter I have been stopped dead in my tracks by bad colds (the ones that never seem to really go away), which is very unusual for me. Instead of the bitter and harsh winter influencing my behavior and setting me straight, my body reminds me that I still need to take time to slow down, reflect and let go of the parts of my life and myself that no longer work for me. As I sit in recovery-mode, my emotions take me on quite a ride. From angry, to sad, to lonely to happy to grateful to confused to anxious–the list goes on, but now I have finally relaxed and realized that it’s okay be sick and it’s okay to let my body and self recover on their own schedule. It’s okay to do nothing. I can be patient. I can sit still. I can listen to and receive the messages my body sends me, and I can experience the transformative healing that occurs when one pays attention. How is the mild, MN winter affecting your health? Sometimes we fall ill to receive a greater message from ourselves. Can you think of a time you were sick and your body was trying to tell you something? Did you listen? How can you listen to your body’s needs without falling into illness? Can illness be a good thing? Why or why not? I am always amazed at how fast art and images can reach my deeper consciousness when I pay attention. Had these words been written in a book, I may have breezed over them. Something about the average look of this photo with its uneven tape and handwriting, coupled with my recent place in the world made me stop and reflect today. 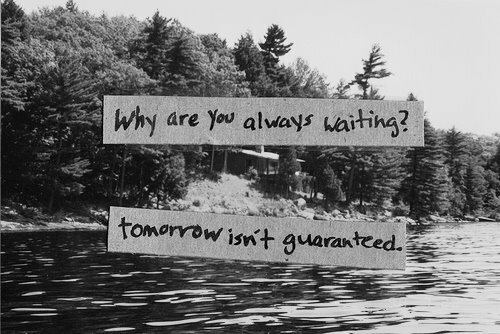 How does it feel to know that tomorrow isn’t guaranteed? Does this reality make you feel uncomfortable or comforted? Are you living in the present? Past? Future? What do you need to do or not do in order to come back to this moment of your life? Each day do you take time to see subtle works of art in your life? Can you be inspired by them? What is simple and beautiful in your life? Are they people, places, things? Do you notice them, and does this noticing create a sense of well-being for you? Do you pay more attention to the sparkle or the spark? While weather in Minnesota has been mild, forecasters assure that winter’s icy temperatures are on the way. Many of us can already feel our bones and joints creaking or aching in the cold, which often makes us feel less motivated to achieve the daily dose of movement our bodies need (that’s code for exercise). Whether you suffer from seasonal stiffness or full-fledged arthritis, here are some general tips and tricks to help you identify ways to treat your arthritis and chronic pain. 1) Understand your condition. The more you educate yourself about your condition, the easier it is to understand and address your pain. 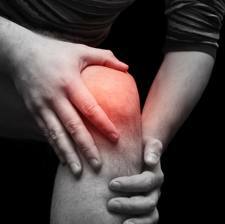 Arthritis comes from the Greek word, arthron (joint), and “itis” means inflammation. This condition can be acute or chronic, and there are varying diseases such as rheumatoid arthritis, osteoarthritis and Lyme’s disease. While arthritis is a fairly complex condition, if you look closely you will find common causes of arthritic pain to be related to inflammation, biochemical imbalances (hormones, nutritional deficiencies), structural misalignment, emotional issues, stress and trauma. Approaching all of these factors at once is intimidating and overwhelming, however, with an open mind and positive attitude you may discover that researching the causes can provide you with information that may likely improve your condition. 2) Get tested for food allergies. Many people suffer from food allergies today, and many people live without even knowing that they are allergic to something. 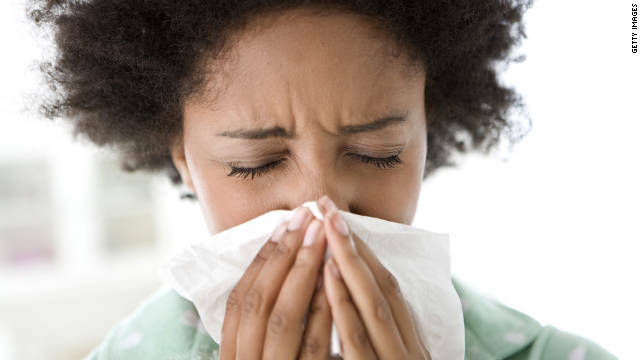 Allergies lead to nutrient depletion and inhibit proper function of the immune system. When your body is not getting adequate nutrition and your immune system is not working properly, you will likely experience more pain and inflammation as well as chronic disease. People who experience chronic fatigue and fibromyalgia should especially consider food allergy screening. By educating yourself and understanding what your body needs and doesn’t need, you are empowering yourself to understand and address your body’s pain. 3) Get tested for heavy metals. Heavy metals also wreak havoc on the immune system and hormonal system. Many chronic illnesses like arthritis, fatigue, autoimmune disorders and cancer are linked to elevated levels of heavy metals. Hair testing is an inexpensive route to go but should not be the only method if you suspect heavy metals are part of your problem. Be sure to do a urine test with a practitioner who has experience with this kind of screening. Common heavy metals include Mercury, Lead, Arsenic, Cadmium, Nickel and Aluminum. For more information about these pollutants and their effects, visit the Environmental Protection Agency website. 4) Have your thyroid and adrenals tested. People with chronic illnesses often have low hormone levels. Depressed hormone levels inhibit the body’s natural production of chemicals necessary for healing pain. Arthritis and pain patients may be at risk for low-functioning thyroids. One at home measure to check your thyroid is through monitoring the basal body temperature. Take your temperature first thing in the morning. A hypothyroid individual will consistently get readings of a temperature lower than 97.8 degrees. If you keep getting low readings, it might mean it’s time to bring in a professional and assist that low-functioning thyroid. Also, there is a close interaction between the thyroid gland and the adrenal gland. Inadequate production in one gland means poor consequences for the other. You can take a saliva test to give yourself a glimpse of your adrenal/thyroid health and discuss further options with a health professional. 5) Eat well. Because arthritis and body pain are at the very least products of inflammation, eating an anti-inflammatory diet is very important. Support your G-I tract. Injured tissue heals with nutrients, not with drugs. In order to begin the healing process, we must provide the body with vitamins, minerals and other natural agents. Eat clean, organic foods when you can, and make sure this mixture includes a lot of colorful vegetables, healthy fats and healthy proteins. *Also, for those vegetarians/vegans out there, make sure to watch your protein intake. Protein is the second most common substance in our bodies. Therefore adequate protein intake is necessary to promote general health and a balanced system. While it is true leafy vegetables offer more protein than milk, animal protein is the only source of complete protein available that contains all the essential and nonessential amino acids, so be sure to supplement if you choose to avoid it. **For meat-lovers, be sure the meat you are eating is a quality protein. Always choose grass-fed beef over grain-fed, wild fish over farmed fish, organic chicken over “regular” chicken, organic free-range eggs over “regular” eggs…you get the point. 6) Drink plenty of water. If anything else, drink a lot of purified water (and pure water does not necessarily mean bottled water). Dehydration acts as a tremendous stressor on the body and is a major factor that inhibits the healing process. All chronic disease is accelerated by inadequate water intake, and your body requires a sufficient amount of water in order to flush out toxins. Because we are made of over 60% water, help support your body’s functions by drinking enough. There are various suggestions out there. One way to play it safe is to drink 50% of your body weight in ounces of water. To read more about factors to consider regarding how much water you need, check out Mayo Clinic’s recommendations. 7) Take a high quality fish oil and find a well-balanced supplement. Obviously whole foods are the best source to get your nutrition, but following a strict organic diet with today’s fast pace society is not always possible. Therefore people suffering from arthritis, body pain and other chronic conditions should definitely consider taking fish oil and a high quality supplement as needed. Increasing the amount of Omega-3 fats in the diet can have a profound anti-inflammatory effect on the body. Wild salmon, cod and cod liver oil are good sources. Just be sure to get the first pressing so that you have the best quality oil, free of mercury and other toxins. Some good vitamins to support pain and arthritis include: Niacinamide (B3), Vitamin A, Vitamin B complex, Vitamin B6, Vitamin B12, Vitamin C , Vitamin D, Vitamin E and minerals, Magnesium, Calcium, Selenium and Zinc. Other helpful nutrients include Glucosamine Sulfate and Chrondroitin Sulfate and herbs, Ginger and Turmeric (cur cumin). 8) Watch your sugar and refined carbohydrates intake. There is enough research out there to understand why you should seriously consider stomping out refined carbohydrates and refined sugars from your diet. This list is getting long enough, so just please trust the experts when they tell you that refined carbs and sugars lack vitamins, minerals and enzymes and have been associated with the rise of degenerative disorders. There is a reason that the Standard American Diet’s acronym is SAD. 9) De-stress. So, you may be wondering how a person can de-stress when there are so many things to think about when dealing with chronic arthritis and body pain. 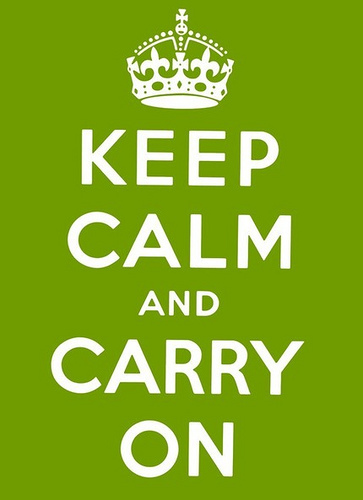 Well, stress no more because as you already know, stressing out will not help your situation. Because stress perpetuates many chronic health conditions, be sure that you can recognize signs of stress in yourself and have an action plan ready to deal with your stress. For example, when I start to get stressed I notice like many people I get angry more easily. When I notice my mood shift in this direction, the first action on my list is to stop and write down why I am stressed out and what I need. Usually I need to slow down and cook a meal. For my husband when he is feeling stressed out, it often means he needs to exercise and get out in nature. Each person has their own way of de-stressing. Pay attention and find yours. 10) Practice Awareness. Try out a mind-body practice. The more you can be with your body and your pain, the better you will know how to handle your pain. Many studies show that people who practice Mindfulness-Based Stress Relaxation (MBSR) and other mind-body therapies are able to decrease symptoms of pain. If you do not have time to start a practice, try taking the time to breathe properly each day. It will do wonders for your health and awareness. 11) Make movement part of your life. For many people suffering from arthritis and body pain, movement is what is needed, but pain limits people in their mobility. Stretching is a place almost everyone can start. If possible, try to find 15 minutes a day to stretch. For people who want routine and guidance, finding a gentle yoga or tai chi practice might be a good fit to help with good stretching techniques. If you have access to the pool and enjoy swimming, water exercise is also great and low-impact. Try out different kinds of movement and see what feels best. 12) One step at a time. Relax and take a deep breath. Remember that arthritis and body pain result from a complex web of systems that require a holistic healing approach. There is no one pill or remedy to cure it, but a little effort can go a long way. Listen to your body. Take note and try out some of the above suggestions. Tell your health professional about it. See an alternative health practitioner. Hear what they have to say. Looking at a problem from a new perspective can be liberating. Most important, never give up. Many people shut down when they hear about the multifaceted approach to treating chronic pain. Try not to be discouraged. Do one thing at a time and do it well. Do not worry about everything. You will find as you pay attention to one aspect of your health and well-being and you master it, the next one will come easier. Mandala Reflections organized the above information from lecture, Community Health Talk Series: Overcoming Arthritis. I had the opportunity to attend the talk and wanted to report back on the event. The lecture was two-hours long and nothing short of 139, informative power point slides. The presenters included three women from O’Keefe Matz Functional Health Clinic with backgrounds in Nutrition, Chiropractic, Acupuncture, Nursing, Massage Therapy and Yoga Therapy. For more information about these women, what they do and their events, please visit their Facebook page. For more wellness events happening in Minnesota, be sure to check this month’s January Happenings.